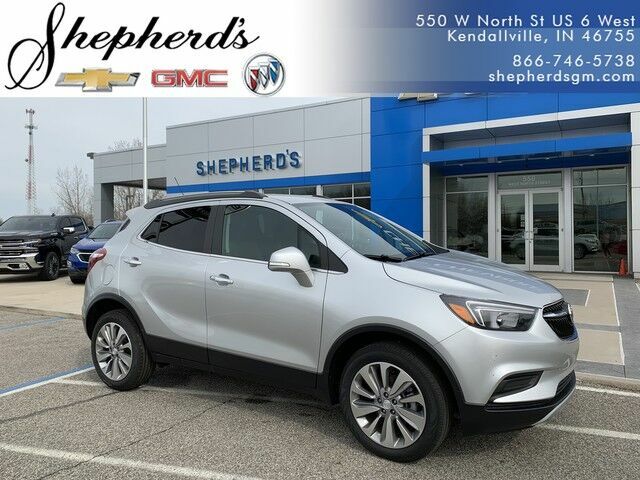 This 2019 Buick Encore Preferred is proudly offered by Shepherd's Chevrolet Buick GMC Want more room? Want more style? This Buick Encore is the vehicle for you. Few vehicles can match the safety and comfort of this AWD Buick Encore Preferred. With enhanced performance, refined interior and exceptional fuel efficiency, this AWD Buick is in a class of its own. Beautiful color combination with Quicksilver Metallic exterior over Ebony interior making this the one to own! You can finally stop searching... You've found the one you've been looking for.